National Journal of Integrated Research in Medicine. 2012; 3(3): 122-127. Immunomodulatory effects of fruits of Barringtonia racemosa Linn. International Journal of Basic & Clinical Pharmacology. 2013; 2(2): 216-219. National Journal of Clinical Anatomy. 2013; 2(3): 140-144. National Journal of Community Medicine. 2013; 4(2): 267-271.
International Journal of Research in Medical Sciences. 2014; 2(1): 330-332. National Journal of Integrated Research in Medicine. 2014; 5(5): 120-123. Annals of Ayurvedic Medicine. 2013; 2(1): 29-32. National Journal of Physiology, Pharmacy and Pharmacology. 2013; 3(2): 142-146. National Journal of Integrated Research in Medicine. 2013; 4(3): 166-169. National Journal of Integrated Research in Medicine. 2015; 6(4): 107-110.
International Journal of Research in Medical Sciences. 2014; 2(2): 741-743.
International Journal of Contemporary Pediatrics. 2016; 3(2): 518-523. National Journal of Medical Research. 2016; 6(1): 23-27. Evaluation of visual outcome of cataract surgery in rural eye-camps in the state of Maharashtra. National Journal of Medical Research. 2016; 6(1): 54-57. National Journal of Clinical Anatomy. 2014; 3(4): 198-202.
International Journal of Current Research and Review. 2015; 7(13): 58-61.
International Journal of Current Research and Review. 2013; 5(18): 01-09.
International Journal of Current Research and Review. 2015; 7(18): 15-18.
International Journal of Current Research and Review. 2013; 5(9): 92-101.
International Journal of Current Research and Review. 2013; 5(8): 74-78. Evaluation of C - reactive protein in Diagnosis of Neonatal Sepsis and Its Prognostic Value: A Prospective Study. International Journal of Health Sciences and Research (IJHSR). 2016; 6(4): 60-64. Multidrug Resistant Gram Negative Bacilli in Clinical Isolates in a Tertiary Care Hospital. International Journal of Health Sciences and Research (IJHSR). 2014; 4(9): 69-74. Awareness Of Healthcare Workers Regarding Biomedical Waste Management (BMW) At Tertiary Care Government Hospital In Dhule (Maharashtra). National Journal of Integrated Research in Medicine. 2013; 4(4): 74-79. Comparative Study of Slime Production as a Virulence Factor In Pseudomonas Aeruginosa Isolates at a Tertiary Care Hospital in Navi Mumbai. International Journal of Health Sciences and Research (IJHSR). 2015; 5(8): 194-198. Sevoflurane versus Desflurane for Laparoscopic Surgery: A Comparison of Maintenance and Early Recovery Profile. International Journal of Health Sciences and Research (IJHSR). 2015; 5(2): 204-212. Hiccups and Dysphagia A Rare Presentation of A Lateral Medullary Syndrome (Wallenberg’s Syndrome). International Journal of Health Sciences and Research (IJHSR). 2014; 4(9): 364-367.
International Journal of Contemporary Pediatrics. 2015; 2(4): 440-444. Evaluation of Inhaler Techniques among Bronchial Asthma Patients Attending a Tertiary Care Hospital in India. International Journal of Health Sciences and Research (IJHSR). 2015; 5(4): 165-170. National Journal of Integrated Research in Medicine. 2016; 7(2): 119-122. 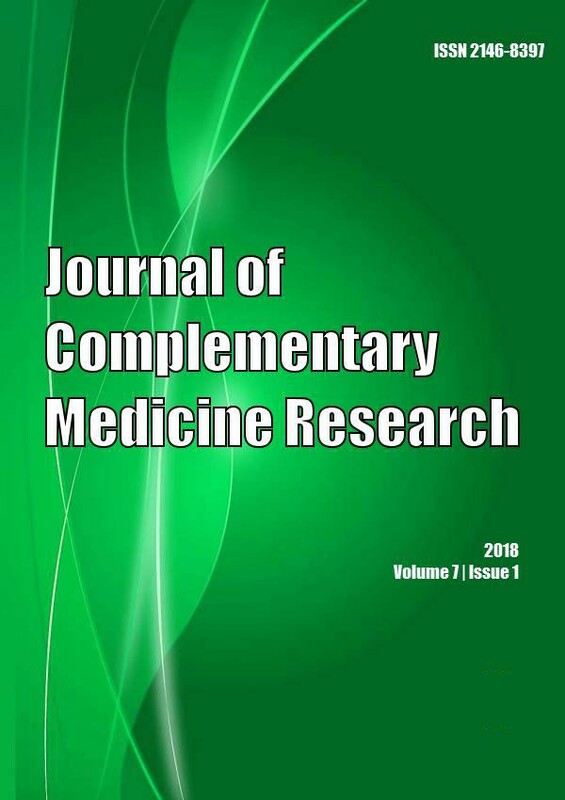 A Study on the Prevalence of Various Diabetes Mellitus Complications and Its Relation with Demographic Factors in Patients Attending Government Hospitals of Jamnagar District. International Journal of Health Sciences and Research (IJHSR). 2015; 5(8): 19-23. Prevalence and Pattern of Mineral Bone Disorder in Chronic Kidney Disease Patients Using Serum Levels of Alkaline Phosphatase, 25-Hydroxy Vitamin D and Parathormone. International Journal of Health Sciences and Research (IJHSR). 2013; 3(11): 103-107. National Journal of Clinical Anatomy. 2013; 2(1): 22-25. A Comparative Study of Health Profile of Children (0-6years) in ICDS vs. Non ICDS Urban Slums of Hyderabad; A.P. International Journal of Health Sciences and Research (IJHSR). 2013; 3(8): 1-6. The Symbiosis of Mentoring: Getting the Most Out of the Mentor-Mentee Relationship. International Journal of Health Sciences and Research (IJHSR). 2016; 6(9): 344-350.
International Journal of Medical and Pharmaceutical Sciences. 2012; 3(5): 14-19.
International Journal of Current Research and Review. 2013; 5(10): 84-92.
International Journal of Current Research and Review. 2014; 6(20): 11-15. Risk Behaviours and Prevalence of STIS/RTIS and HIV in Persons Involved in Premarital Sexual Behavior among STD Clinic Attendees of Govt. General Hospital, Chennai. International Journal of Health Sciences and Research (IJHSR). 2016; 6(2): 1-6. Neurofibromatosis Type 1 with Prostate Involvement Presenting As Urinary Retention - A Rare Case Report. International Journal of Health Sciences and Research (IJHSR). 2015; 5(2): 444-449. National Journal of Medical Research. 2013; 3(4): 385-388.
International Journal of Basic & Clinical Pharmacology. 2016; 5(1): 159-162. National Journal of Integrated Research in Medicine. 2016; 7(1): 120-124.
International Journal of Medical Research & Health Sciences. 2013; 2(4): 773-779. National Journal of Integrated Research in Medicine. 2016; 7(3): 124-127. National Journal of Integrated Research in Medicine. 2014; 5(4): 94-97. National Journal of Integrated Research in Medicine. 2014; 5(2): 127-130. National Journal of Integrated Research in Medicine. 2013; 4(4): 140-144. National Journal of Integrated Research in Medicine. 2012; 3(5): 157-161. Effectiveness of structured teaching programme on prevention of anaemia among antenatal women. 'V. Puspha', 'Usha Kiran. C', 'Sudha Rani'. NARAYANA NURSING JOURNAL. 2015; 4(4): 12-14.
International Journal of Clinical and Biomedical Research. 2017; 3(4): 44-49. A study to assess the effectiveness of structured teaching programme on prevention of selected puerperal infections among ante natal mothers attending MCH centre at Tirupati. 'K. Supraja', 'Mrs. Usha Kiran', 'Dr. Sudha Rani'. NARAYANA NURSING JOURNAL. 2015; 4(2): 27-28.
International Journal of Basic & Clinical Pharmacology. 2014; 3(2): 269-271.
International Journal of Research in Medical Sciences. 2016; 4(2): 403-414.
International Journal of Reproduction, Contraception, Obstetrics and Gynecology. 2013; 2(1): 95-98.
International Journal of Livestock Research. 2017; 7(6): 44-49.
International Journal of Current Research and Review. 2014; 6(23): 49-53. National Journal of Integrated Research in Medicine. 2012; 3(3): 107-110. Functional Rehabilitation of a Patient with Post Stroke Cerebellar Cognitive Affective Syndrome - A Single Case Study. International Journal of Health Sciences and Research (IJHSR). 2013; 3(5): 107-110.
International Journal of Research in Medical Sciences. 2016; 4(4): 1302-1303. Delayed Umbilical Cord Clamping: A Boon for an Infant. International Journal of Health Sciences and Research (IJHSR). 2015; 5(2): 381-386. Exploratory Laparotomy done under IM+IV Sedation & Upper Abdominal Field Block in a Rare Case of Severe Mitral Stenosis with RVHD, Pulmonary Hypertension and Pulmonary Oedema with Atrial Fibrillation Having DU Perforation. International Journal of Health Sciences and Research (IJHSR). 2014; 4(5): 289-293. Thrombocytopenia and Absent Radius Syndrome (Tar Syndrome) with Hypoplastic Left Kidney: A Rare Case Report. International Journal of Health Sciences and Research (IJHSR). 2014; 4(3): 261-264. National Journal of Physiology, Pharmacy and Pharmacology. 2017; 7(6): 637-641. Treatment of Comminuted Radial Head Fracture with Modular Radial Head Replacement Prosthesis: A Case Report. International Journal of Health Sciences and Research (IJHSR). 2016; 6(2): 433-436.
International Journal of Current Research and Review. 2015; 7(16): 62-67. National Journal of Clinical Anatomy. 2014; 3(2): 84-86.
International Journal of Livestock Research. 2017; 7(12): 186-192. Veterinary World. 2010; 3(5): 215-218.
International Journal of Current Research and Review. 2014; 6(17): 21-24. National Journal of Clinical Anatomy. 2014; 3(1): 17-23. Integration of Problem Based Learning with Conventional Teaching for Understanding Anatomy among First Year Medical Students. International Journal of Health Sciences and Research (IJHSR). 2013; 3(12): 99-104.
International Journal of Current Research and Review. 2016; 8(24): 19-25.
International Journal of Current Research and Review. 2014; 6(14): 38-48.
International Journal of Current Research and Review. 2014; 6(14): 49-53.
International Journal of Basic & Clinical Pharmacology. 2016; 5(3): 910-913.
International Surgery Journal. 2016; 3(4): 2358-2361.
International Journal of Current Research and Review. 2015; 7(2): 69-73. A Cross Section Study on Depression in Undergraduate Medical Students of Two Medical Colleges of Gujarat, India. International Journal of Health Sciences and Research (IJHSR). 2013; 3(10): 102-108. Journal Of Advance Researches In Medical Sciences ( Formerly Journal of Advance Researches in Biological Sciences). 2012; 4(4): 350-353.
International Journal of Research in Medical Sciences. 2014; 2(4): 1761-1762.
International Journal of Contemporary Pediatrics. 2016; 3(4): 1375-1379.
International Journal of Basic & Clinical Pharmacology. 2015; 4(1): 139-143.
International Journal of Research in Medical Sciences. 2016; 4(3): 701-705.
International Journal of Research in Medical Sciences. 2015; 3(2): 405-408.
International Journal of Research in Medical Sciences. 2015; 3(11): 3412-3415. National Journal of Integrated Research in Medicine. 2013; 4(2): 169-172. Journal of Research in Medical and Dental Science. 2013; 1(1): 7-11. National Journal of Integrated Research in Medicine. 2013; 4(1): 62-66.
International Surgery Journal. 2016; 3(2): 582-585.
International Journal of Reproduction, Contraception, Obstetrics and Gynecology. 2016; 5(8): 2652-2656.
International Journal of Reproduction, Contraception, Obstetrics and Gynecology. 2016; 5(7): 2126-2129. National Journal of Medical Research. 2016; 6(1): 38-41.
International Journal of Research in Medical Sciences. 2015; 3(12): 3924-3927.
International Journal of Research in Medical Sciences. 2016; 4(11): 5061-5064.
International Journal of Reproduction, Contraception, Obstetrics and Gynecology. 2014; 3(4): 1100-1103.
International Journal of Research in Medical Sciences. 2016; 4(6): 2089-2092.